San Diego Child Car Accident Attorney Mark C. Blane represented an injured twelve-year old boy from National City in a car accident that sustained $5,600.00 in rear-end property damage. Although the twelve year old boy was injured, he did not have to go in an ambulance to a local hospital. Instead the young boy treated through conservative physical therapy under his private health insurance policy (Anthem Blue Cross). 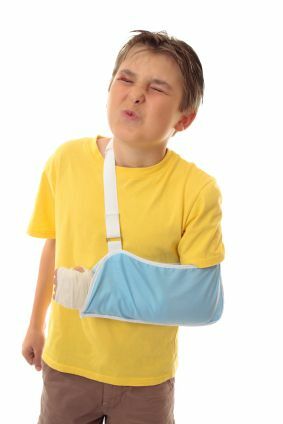 Mr. Blane was successful in not only obtaining a good settlement for the young boy, but he was also proficient in reducing the health insurance lien (Anthem Blue Cross) in order to help increase the boy's net recovery from the bodily injury settlement. This was approved by the judge assigned to hear the case for the Minor's Compromise and Release hearing, which is required under California for all settlements to minor children above $5,000.00. The settlement process was a great success for this child injury case. The boy will now have settlement funds growing in interest in his own blocked account. He can look forward to a nice nest egg, which is tax free, when he turns eighteen years old. At which the boy will have full access to the settlement funds without any further court approval.